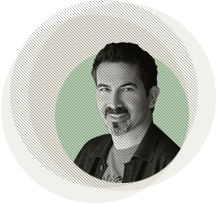 Corey brings over 20 years of experience in advertising, marketing, creative direction, production and management to Ideation One, Inc. 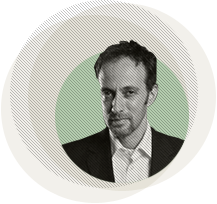 Prior to forming Ideation One, he served in executive management at the SPIN Agency as Sr. VP and Creative Director. Previously, he served as Vice President of Marketing at Multimedia Publishing Corporation (MPC), managing the marketing of its magazines and respective semiannual conferences and expositions. He helped the company achieve its largest trade show attendance and a record website usage from over 50 countries, repositioning the Company's brand as a recognized leader in the industry. Prior to MPC, he served at Adcetera, working on corporate accounts including SYSCO Corporation, Unocal, Halliburton, Landry's Seafood Restaurants, Inc., Natural Gas Clearinghouse (now Dynegy), Corporate Express and Continental Airlines. Corey is also a professional voiceover talent and has served as a creative consultant on campaigns with AT&T, Schlumberger, Discount Tire, Oshman's Sporting Goods, Inc., and Fortune 1000 companies from coast to coast. Adam Nisenson is an award-winning marketer and branding expert. With more than 20 years of experience, Adam has consulted for organizations such as Pepsi-Cola, Reliant Energy, Houston Astros, Seattle Seahawks, Houston Dynamo, Discovery Green, Houston Texans, New York Yankees, Houston Marathon, PGA Tour, NBC, ESPN and Mountain Dew, to name a few. Clients know him for his ability to quickly understand their message objectives and develop creative solutions that work. Adam utilizes his broad range of experience to assist sponsors in effective activation of their sponsorships in unique, creative ways that drive results. His knowledge of the internal workings of sports teams and events, as well as an innate knowledge of corporate branding and messaging, delivers value to our clients and helps them navigate the varying components that make up their contractual business models. Adam is also a frequent speaker on branding, archetypes and sponsorship activation. His appearances include the renowned National Sports Forum and World Sports Congress. Having served on committees of several local sports-related events and charities, he is involved in giving back to the community and has worked with Houston’s bids for major events, including the Super Bowl, NCAA Championships and All-Star games.